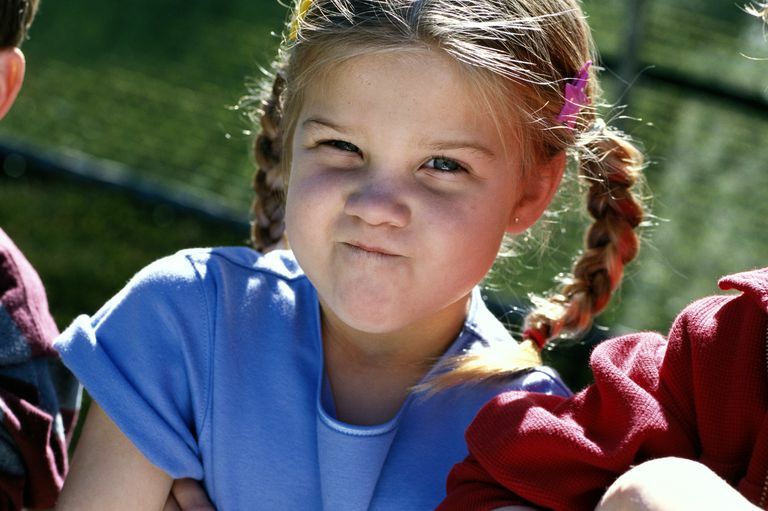 Almost every parent has experienced a few cringe-worthy moments where a child’s ungrateful attitude becomes evident. Whether your child says, “Is that all I’m getting for my birthday?” after opening a pile of presents, or you hear, “I never get to do anything fun” as you’re driving home from a fun-filled day at the park, the lack of gratitude can be frustrating. While it’s normal for all kids to have moments where their sense of entitlement becomes evident, make sure your child's ungrateful attitude doesn't become permanent. When you hear your child say or do something that shows an ungrateful attitude, point it out. Avoid saying something like, “Stop being a brat.” Instead, be specific without being insulting. Consistently point out incidents that portray an ungrateful attitude to help your child see what behavior constitutes entitlement. Just make sure your comments are aimed at raising awareness, not shaming your child. Kids need help understanding how their behavior affects other people. You can do that by teaching your child empathy. Talk to your child about how her words or behavior impact you. Say things like, "When you say you never get to do anything fun, it hurts my feelings. I try to make sure we do plenty of fun things together, like go to the park or play games." When you are reading books or watching TV together, pause and ask her how certain characters might feel. Ask questions like, "When that boy said those mean things, how do you think his brother felt?" Help your child identify and label feeling words. Showering your child with endless material items and countless indulgences will spoil her. Kids can’t be grateful for what they have unless they’re given an opportunity to earn their privileges. Link privileges, like screen time and play dates, to good behavior. Never confuse a bribe with a reward. Bribing your child will only fuel an ungrateful attitude. Saying, "Here's a balloon, now be good," is a bribe. A reward, on the other hand, is about saying, "You were really good. You earned a balloon." A reward system, however, will help her feel good about her accomplishments and she’ll appreciate her privileges much more when she’s actually earned them. There are many steps you can take to foster gratitude in children. One of the most important steps you can take is to role model a grateful attitude. Talk regularly about all the things you have to be grateful for each day. Express gratitude for things that can easily be taken for granted, like seeing a beautiful scenic view or having clean air to breathe. Establish family habits that foster gratitude too. Create a gratitude jar where everyone writes down one thing they're grateful for every day. Then, on a specific date, like New Year's, read through all the slips of paper. Or, make it a habit to talk about gratitude each day at bedtime or around the dinner table. Ask everyone, "What was the best part of your day today?" Then, discuss why you are grateful for the good things in your day. Make kindness a family habit. Take your child with you when you help an elderly neighbor or give her an opportunity to help you make a meal for someone who needs a helping hand. Get your child involved in charity work too. Teach her that she's never too young to help other people. Helping others in need will decrease your child's self-centered outlook. It will also help foster compassion, which decreases the likelihood that your child will be ungrateful. Talk about being kind often. Make it a daily habit to ask, "What is something kind you did for someone today?" or, "How did you help make the world better today?" When your child performs acts of kindness, she'll be more likely to focus on what she can give, rather than she thinks she deserves. Keep in mind that it's normal for kids to be a bit egocentric at times. They're going to think the world revolves around them. But, over time, an ungrateful attitude should be getting better, not worse. When you see your child act entitled, take a step back and think about the steps you can take to foster a more grateful spirit.